Even if you’re a fairly organized person, odds are you have some items you’re holding onto solely for sentimental reasons. And that’s perfectly fine in moderation. But if sentimental clutter is overwhelming your life, here are nine tips to help you let go. Getting rid of sentimental items is much easier said than done. In fact, a study from the Yale School of Medicine found when participants had to choose personal items to get rid of, activity increased in the areas of their brains associated with conflict and pain. But there also are health benefits that come with a decluttered space, including stress reduction and improved focus, according to Cleveland Clinic. So it’s important to find that balance between cherished possessions and stuff that’s just weighing you down. As you begin decluttering, start with some easy items. For instance, recycle that stack of papers and magazines that’s been piling up, or do a thorough inventory and cleaning of your fridge and pantry. Anything that gets you in the organization mood will help when it comes time to make more difficult decisions on whether you keep certain possessions. Some people might choose to donate clothing they haven’t worn in a year. Others might give away books they haven’t read in the past five years. When it comes to decluttering, it can be helpful to put a clock on items. For instance, Merry Maids suggests that when you receive a birthday card, allow yourself one or two weeks to enjoy it before you send it to the recycle bin. Otherwise, you might end up collecting countless cards that feel sentimental just because a loved one signed their name under a generic birthday greeting. It’s a lot easier to let go of items when you still have something to remember them by. And that’s where digital photos come in. “If you really want to keep handwritten love notes, pictures your significant other doodled on napkins or all of the kids’ report cards and drawings, scan them in so that you have a digital record that doesn’t take up space or attract dust and silverfish or other pests that are drawn to old papers,” Merry Maids says. You can easily downsize boxes of items to a tiny flash drive or online storage. And, as an added perk, going through and photographing your items will help to remind you of all those memories that otherwise would have been buried in boxes. 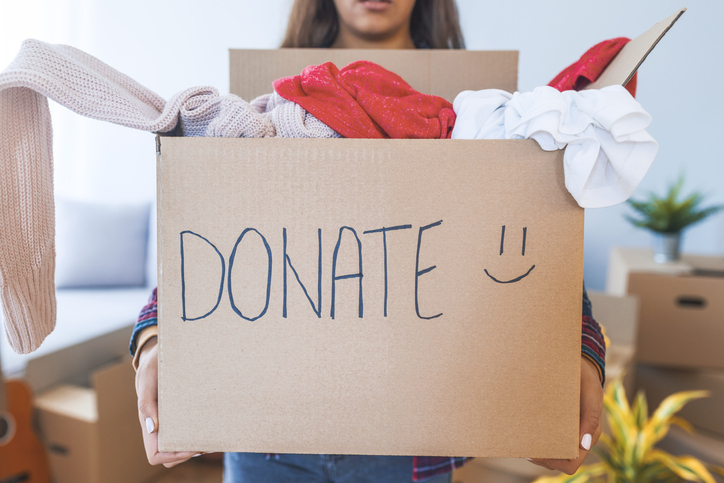 Whenever you’re decluttering, you’ll probably find some things you want to donate. And when it comes to sentimental items, aim to give them to someone who will appreciate them as much as you did. Maybe you ended up with boxes of family heirlooms and can’t keep them all. Reach out to relatives to see whether they’d like some. (But be sensitive about saddling them with too much clutter, as well.) Knowing they’re going to someone who understands their significance will hopefully make parting with the items a little bit easier. You’ll probably have to rely more on your head than your heart as you judge which sentimental items are truly keepers. For instance, your heart might love your collection of trinkets from everywhere you’ve traveled. But your head knows they take up too much space and you never look at them. So pick out a few you love the most (if you must), and get rid of the rest. If you have trouble being picky, invite a neutral friend to help you stay on track with your organization goals. Parting with some items might be easier to stomach if you give them one final hurrah. Maybe you can’t justify keeping your wedding dress, but it pains you to get rid of it. Put it on one last time, snap some photos and show your loved ones. Then, hopefully you’ll feel enough closure that you won’t need a physical connection to it anymore. Sometimes all it takes is a reminder that those special memories live on inside of you, rather than through your clutter. Of course you don’t have to get rid of all your sentimental items. 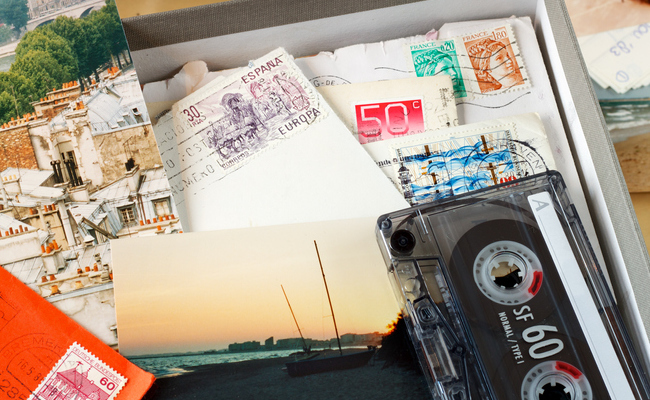 For the definite keepers, Merry Maids suggests creating a designated memory box. “The best way of doing so is to choose a small box to house sentimental items,” Merry Maids says. 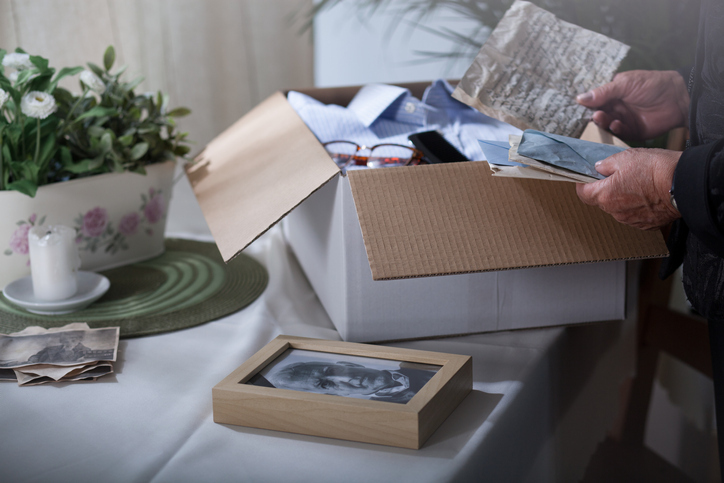 “… Before you place a new item within, really ask yourself if that feather or movie stub is something you need to keep forever.” Limiting yourself to that one box will force you to keep your collection of sentimental items under control. And you’ll also conveniently know exactly where they all are for when you want to reminisce or rotate some out for display. Not all of your keepsakes should live stowed away in a box. If they’re that important to you, find a creative way to display them (that doesn’t add more clutter to your surroundings). For instance, repurpose your nostalgic collection of T-shirts that you never actually wear into a quilt to free up drawer space. Or turn old love letters from your significant other into a collage to hang on the wall, so you never forget those sweet memories. Giving items a purpose and place in your home saves them from ever becoming burdensome clutter. To prevent forming attachments to items just based on the time you’ve had them alone, it’s key to make organization a consistent part of your life. “Ask yourself if the things you’re clinging to have a functional use — and are being used regularly — or bring you any joy,” Merry Maids says. “If the answer to these questions is ‘no,’ bid the object adieu and move on.” Look back at the items you thought were definite keepers years ago, and you might be surprised to find you no longer have a sentimental attachment to them. Besides, there are many alternatives to drowning in clutter to preserve your life’s memories. I recycled my vegan ice cream containers and regret it. They were so cute.